The tide was rising and she couldn’t jump high enough. 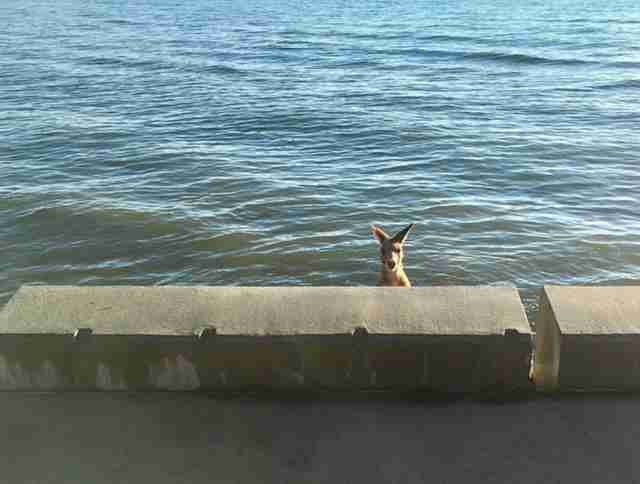 A wild kangaroo hopping along the coast of Queensland, Australia, got a surprise. 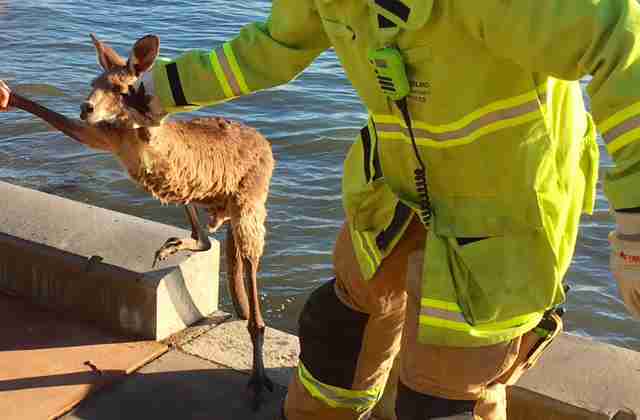 The kangaroo had been exploring just behind a seawall in the town of Sandgate on Thursday morning when suddenly there was less ground to hop on — and less, and still less. The tide was rising and soon the little kangaroo was knee-deep in water. And then she was neck-deep. Thankfully, people spotted her. She was peeking over the wall, looking totally at a loss. "What's that Skippy?" Queensland Fire and Emergency Services wrote on Twitter. "The tide’s on the up and you’re stuck behind Sandgate’s seawall, needing our crews to save the day?" 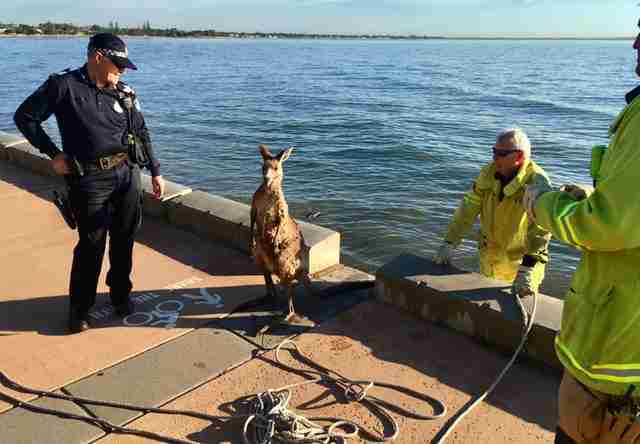 A couple firefighters teamed up with a policeman to help hoist the kangaroo up out of the water by her arms. Rescuers were sure to snap a few photos of their wild citizen in need as she hung out beside them, drying off on dry land. This isn't the first time Australians have jumped at the chance to save their unique wildlife from trouble. In April, another kangaroo stuck in mud got a nice helping hand from a couple of teenagers who happened to be bicycling by. “It’s a pretty patriotic thing to do," one of the teenagers said at the time.